Klattermusen is a Swedish clothing and accessory brand that specializes in apparel for the outdoors. You can shop from a variety of clothing options for both men and women to keep you warm and protected throughout all of your outdoor adventures. Klattermusen also sells several different styles of packs and gear that will make great travel companions for your next trek. With Big Apple Buddy’s personal shopping service, you can now buy direct from the Klattermusen online store anytime, anywhere. 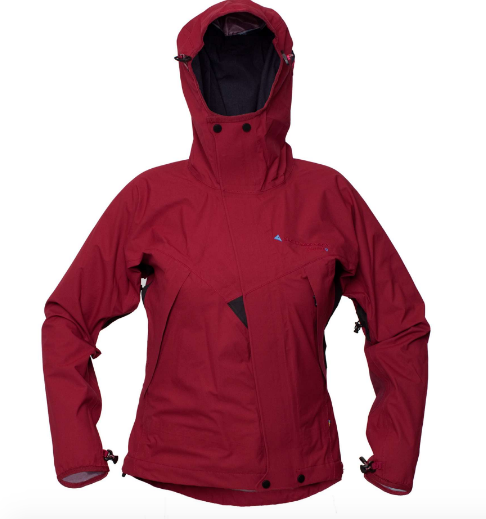 The Fjorgyn Aorak Jacket is a great option for both men and women. This unisex piece is a 2.5-layer fully taped, waterproof, and breathable companion, that will keep you dry and protected whether you're out on the trail or riding your bike. The jacket has a smooth carbon print on the inside, which is comfortable to the skin, so you can even wear it without anything underneath in warmer weather. This lightweight jacket is easy to pack and won't take up too much room in your suitcase, so you can comfortably carry it around with you and have it handy in case you need a little extra protection from the elements. The brim on the hood is designed to protect your face from the rain, so you can stay dry and comfortable even in the harshest weather conditions. 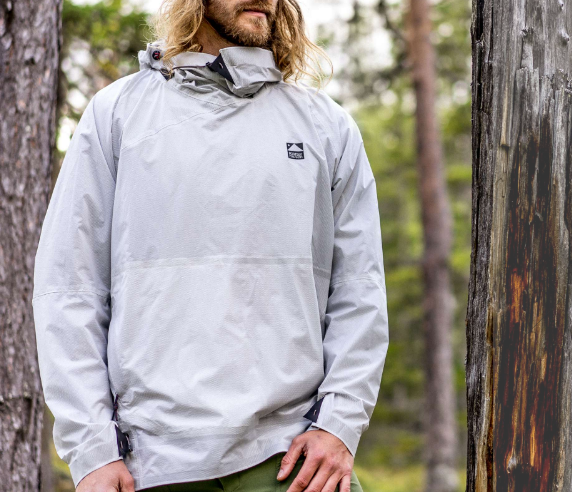 The Allgron Jacket is Klattermusen's most popular product-- this 3-layered jacket is made of 100% recycled material that is soft, strong, stretchy, and suitable for all outdoors occasions. This jacket is designed with enough protection to be suitable when you're hiking up a mountain, biking, or even just stepping out to run some errands on a rainy day. It'll keep you dry even in the worst downpours and will even come in handy when the sun comes out: its underarm ventilation zips allow you to stay cool and let off some steam. It comes in a variety of colors, so pick whichever one you think you'll look best in as you trek up a mountain! Klattermusen also has a wide variety of bags and packs organized by activity. The Gungner 2.0 Backpack has a capacity of up to 50L and is the ideal pack to hold all of your essential items, especially for shorter trips. The bag features a roll top opening that gives you some extra space if you need it. 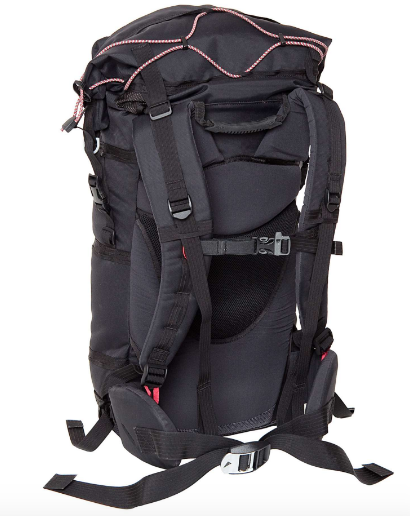 The strain on the shoulders and hips is minimized with adjustable and detachable straps, so you'll stay comfortable no matter how long you walk around with this pack. This backpack is recycled from old fishnets and is also completely recyclable, so if you love the environment, this bag is even more perfect for you. Unfortunately, the USA Klattermusen online store does not currently offer international shipping. However, Big Apple Buddy, your personal shopper, can help you buy products direct from the official USA Klattermusen online store and ship them to your doorstep, no matter where you are in the world. We offer international shipping to over 110 countries including Australia, Austria, Azerbaijan, Bahrain, Belgium, British Virgin Islands, Brunei, Bulgaria, Canada, Chile, Costa Rica, Croatia, Czech Republic, Denmark, Estonia, Fiji, Finland, France, French Polynesia, Germany, Gibraltar, Greece, Greenland, Hong Kong, Hungary, Iceland, Indonesia, Ireland, Israel, Italy, Japan, Jordan, Kuwait, Latvia, Liechtenstein, Lithuania, Luxembourg, Macau, Malaysia, Maldives, Malta, Marshall Islands, Mauritius, Monaco, the Netherlands, Netherland Antilles, New Zealand, Norway, Oman, Poland, Qatar, Romania, San Marino, Saudi Arabia, Serbia and Montenegro, Seychelles, Singapore, Slovak Republic, Slovenia, Spain, South Africa, St. Lucia, Sweden, Switzerland, Taiwan, Thailand, the UAE, the UK, Vatican City, and Vietnam. If you would like to buy from the USA Klattermusen online store, simply let us know which items you would like to order (by filling out the form below) and we’ll get back to you with a free international shipping quote within 24 hours!